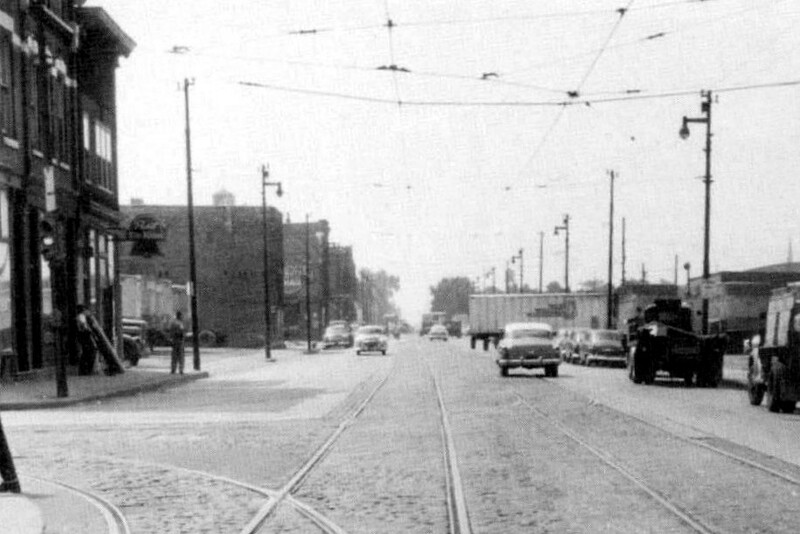 In 1955 the streetcars had been gone from Halsted Street for two years. Yet the overhead wires remained, for a planned conversion to trolley buses that never took place. Why the street hadn’t yet been repaved is anybody’s guess. 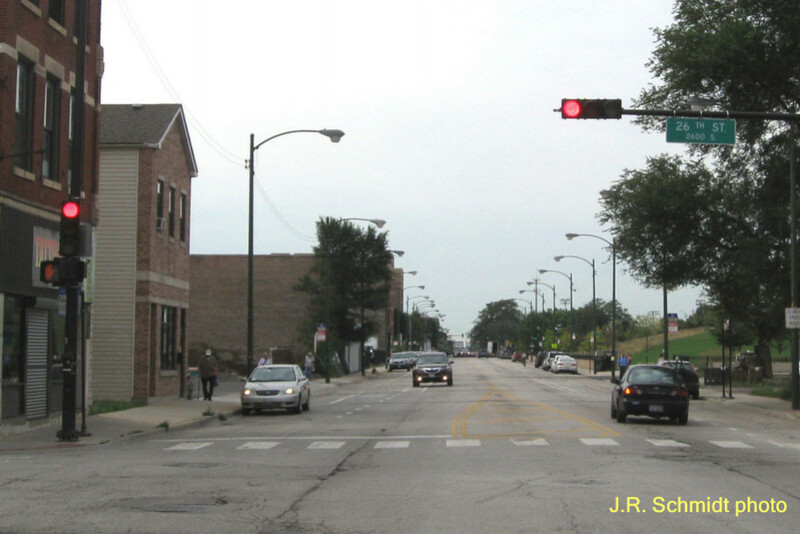 Perhaps the older photo dates from early in the year, before local resident Richard J. Daley took office as mayor. Today much of Bridgeport has seen rehabbing and new construction. A block south and on the right, the old Stearns Quarry has been transformed into lovely Palmisano Park.